Preview: Calling All Horror Fans! 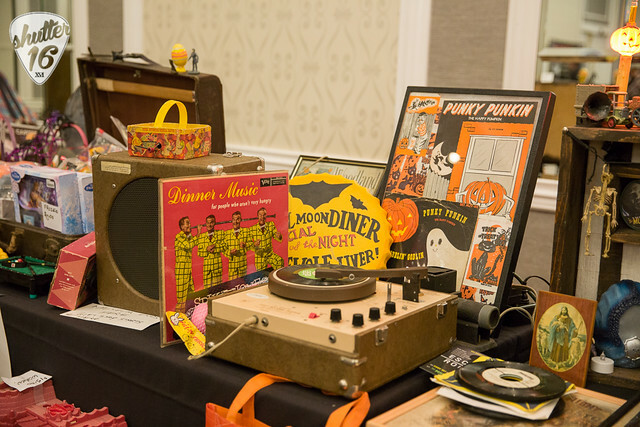 Mad Monster Party 2019 Is Almost Here Reviewed by Kris Engelhart on January 22, 2019 . As far back as I can remember, I have been a fan of scary movies. My horror movie obsession began when I was only six or seven years old and I got to spend the occasional Friday night at my grandmother’s house. She was most definitely a night owl and Friday nights were Fright Nights on one of the local television channels. Snuggled in my sleeping bag on her living room floor and full of unhealthy snacks, I watched all the classics like Bela Lugosi as the iconic Count Dracula and any and everything that featured Vincent Price. To this day, the scariest movie I ever saw was during one of these late night TV binge sessions. The Thing That Couldn’t Die creeped me out to the core and the nightmares of a four hundred year old disembodied head continued sporadically for years. Today, there is no need to wait until Friday nights anymore. We are lucky enough to live in an age where horror is literally at our fingertips. There are entire channels devoted to our beloved genre and we can easily browse online to find something sickeningly cool to watch at all hours of the day or night. 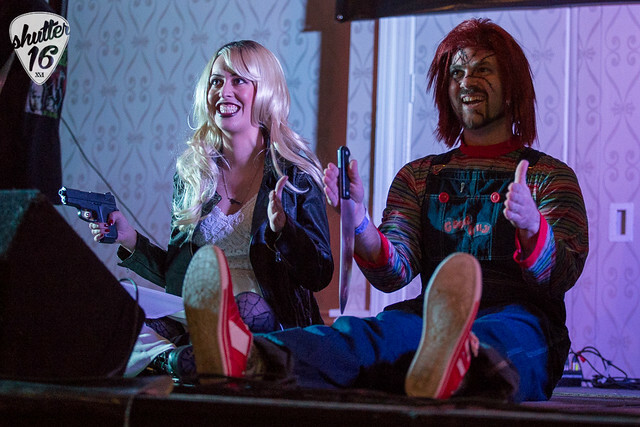 This horror movie culture is celebrated in fine tradition each and every year right here in Charlotte at the annual Mad Monster Party and 2019 is shaping up to be one of the biggest and best conventions yet. 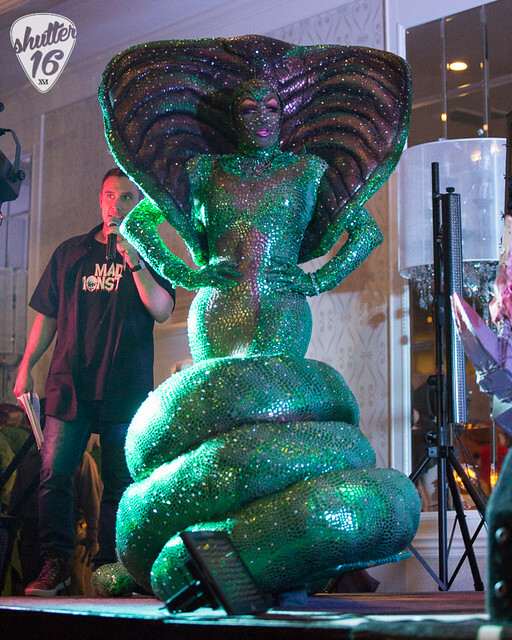 Taking place this February 22nd-24th at the University Hilton, the party promises to be fun for everyone. 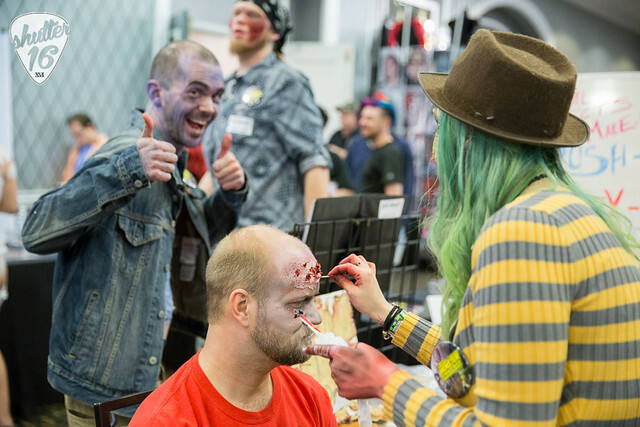 The convention is family friendly by day with plenty of adult fun to be had by night and this year’s lineup of celebrity guests will have you on the edge of your seat. For those of you that feel uneasy anytime you see someone in a goalie’s mask, you will be able to meet Jason Voorhees himself as Kane Hodder is scheduled to be there. Perhaps, zombies are more your style. If so, you can catch Bruce Campbell from the Evil Dead franchise. 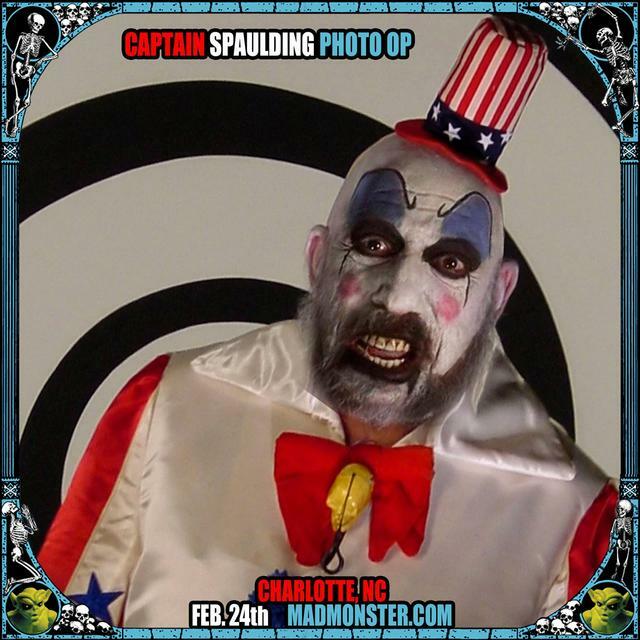 Fans of Rob Zombie’s films can meet none other than Captain Spaulding himself. In fact, you can score a once in a lifetime photo opportunity with Sid Haig in full Captain Spaulding making with a background that will seem as if you are walking into the actual movie set. If that doesn’t put a chill in your bones, I don’t know what will. 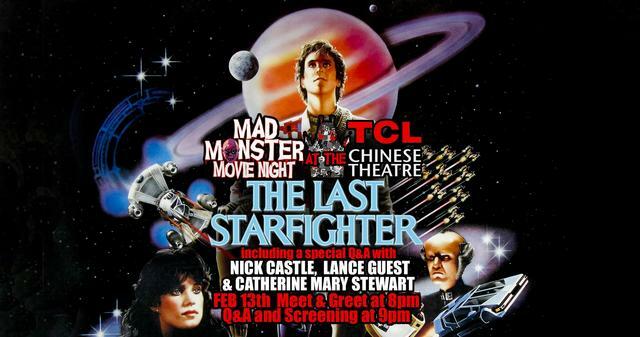 Other scheduled celebrity appearances include legendary creature actor Doug Jones, Ray Wise, Adrienne Barbeau, David Howard Thornton, and James Jude Courtney. There’s plenty of other activities as well. You’ll want to check out all the vendors selling the very best in macabre merchandise as you listen to live music. 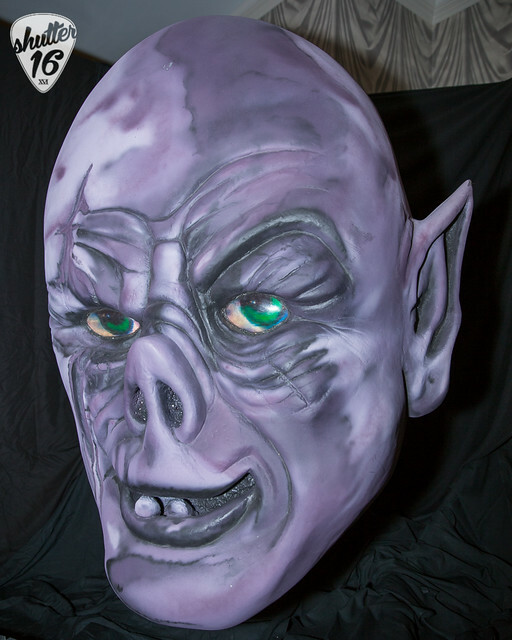 The convention will also provide the opportunity to participate in Q&A sessions hosted by the monster celebrities or take a chance at winning top prize in the costume contest. Other activities include Scaraoke (spooky karaoke), monster makeup demonstrations, and the annual Scares That Care charity auction. Take the opportunity to hobnob with like minded individuals and explore all that the horror community has to offer. Advance tickets are available now with special discounts for military, police, fire, and emergency service workers and don’t forget children 12 and under are free. You can also upgrade your experience and become a very special R.I.P. Mark your calendars now and don’t miss the exciting, one of a kind event. Check out the link below for more details.